Blackburn with Darwen Borough Council remains indebted to the team at the Hallé for continuing to programme a tremendous series within the Borough and supporting the King George’s Hall team to keep it alive. The Hallé will perform three concerts within the series: the first under the direction of Andrew Manze with Dvořák’s masterful Cello Concerto; the second featuring Beethoven’s exhilarating Seventh Symphony; and the third, a special concert to celebrate the 200th anniversary of the birth, on 11 April, of Sir Charles Hallé, the orchestra’s founder. 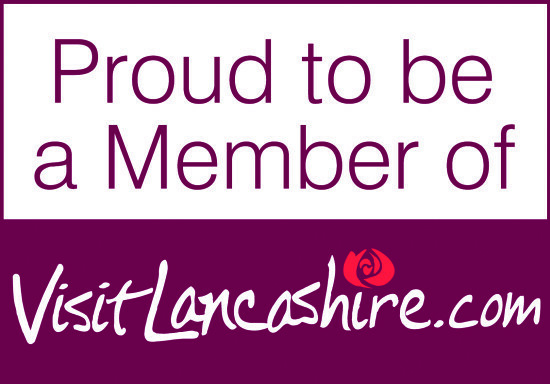 We are also delighted to welcome back the Royal Northern Sinfonia and the BBC Philharmonic who have delighted audiences over recent series. Highlights are sure to include Debussy’s La Mer, a first performance within records at King George’s Hall, and Dvořák’s ‘New World’ Symphony. Whilst many were saddened to learn of the closure of Blakey’s, we are welcoming the arrival of East Z East over the summer and are looking forward to working together on a pre-concert offer for all of the series’ concerts. Alongside East Z East, we have worked hard to build relationships with other town centre restaurants such as Café Northcote, A Mano and Turtle Bay, all of which offer a 10% discount on meals when presented with a King George’s Hall ticket for a performance that day. Further information can be found in the season brochure, or alternatively ask at the box office when booking your tickets. 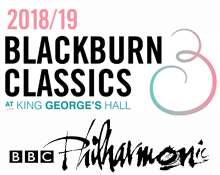 BBC Philharmonic return to Blackburn to conclude the 2018/19 Classics Series with a fairy-tale sound world, hints of the Russian Revolution and the New World Symphony.